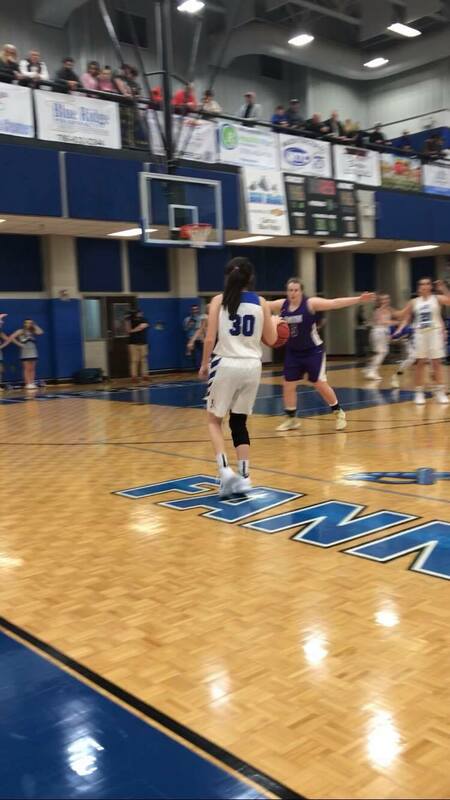 On 12/7, The Fannin County Lady Rebels traveled to North Hall to take on the Lady Trojans for their second region game. Fannin was able to keep up with North Hall in the first quarter where there was a lot of three point action. Both teams made two three point shots in the first quarter and continued to add onto them throughout the game. Sophomore, Abby Ledford, led the Rebels in scoring for the night with twelve points overall, six of them being from three pointers. It was a close game as the Lady Trojans closed out the first quarter with a 17-12 lead. Although the Trojans were ahead, Fannin was not giving up their fight. They adjusted to North Hall’s defense and started to make it hard for them to make their way to the basket. Morgan Holt showed off her moves as she worked around the defense to contribute ten points for her team. Fannin managed to drive their way to the basket and outscore the Trojans in the second quarter ten to seven, which put the Trojans ahead only 24-22 as they went into halftime. The Lady Rebels were able to find a new method of scoring at the start of the third quarter as the Trojan’s left Olivia Sisson wide open on the block. Sisson was quick on her feet as she contributed four points to Fannin’s score for the night. Rebel senior, Maleah Stepp, helped make the action happen downlow with her great passes from the top. Stepp also had her share of baskets for the night where she added five points to Fannin’s score. While Fannin added onto their score, North Hall did the same as they extended their lead to end the third quarter with a score of 34-29. Fannin kept battling in the final quarter as they started to foul and be fouled. They played scrappy on defense and got after the ball which resulted in points. Kennedy Harper had grit on the block where she was fouled and added one point to Fannin’s score. Mackenzie Johnson showed her speed and pushed the ball up the court where she also got fouled and went two for two on free throws. Although Fannin kept their intensity to the end, North Hall was able to keep their lead and claim a 49-34 victory. The Trojans win put their overall record at 4-2 and Fannin’s at 1-7 while their region record became 0-2.